U.S. Rep. Erik Paulsen added more than half a million dollars to his campaign war chest over the past three months. The five-term Republican incumbent picked up something this spring -- a well-funded Democratic challenger who raised almost as much money in six weeks as Paulsen raised in 12. 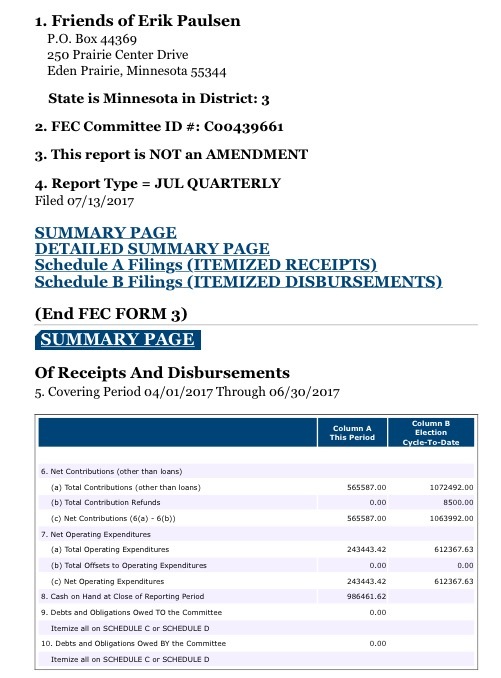 Between the beginning of April and the end of June 2017, Paulsen raised $565,587 and spent more than $243,000. He started the summer with almost $1 million in cash on hand. His Democratic challenger, businessman and political newcomer Dean Phillips, announced earlier this week that he'd raised $527,000 since launching his campaign in May. The Paulsen campaign has not yet weighed in on its second quarter campaign finance report. The Democratic Congressional Campaign Committee was quick to pounce on the candidate's spending on out-of-town trips and stays in upscale hotels. “Rep. Erik Paulsen’s been a no-show in his district, yet he’s made it his first priority to host lavish vacations for the big donors and special interests bankrolling his campaign," said DCCC regional spokeswoman Rachel Irwin. The battle for Minnesota's Third Congressional District was one of the most expensive in the state last year -- Paulsen alone spent $5.8 million. The stakes could be even higher in 2018. The Cook Political Report considers the Third District one of the nation's most competitive races -- although not quite as up-for-grabs as the First District seat of Democratic Rep. Tim Walz, who's stepping down to run for governor, or the Second District reelection campaign of freshman Rep. Jason Lewis. 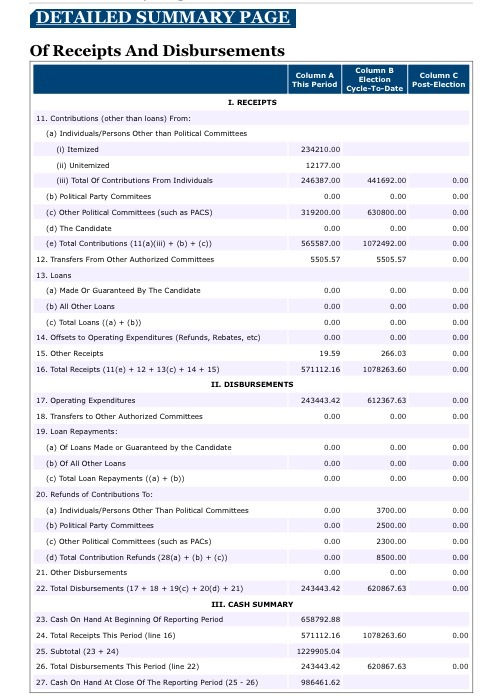 Click here for the full campaign finance report.